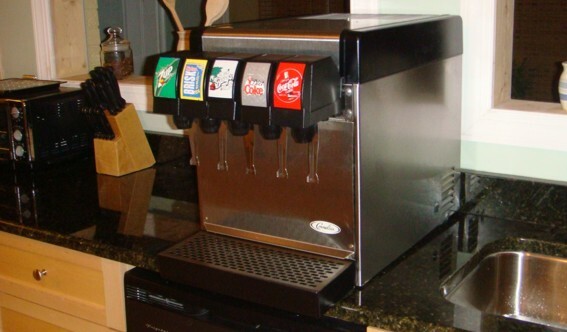 Small Five (5) valve counter top electric soda fountain system. Very attractive black and stainless steele design adds elegance to any decor. Built-in refrigerated cooling. 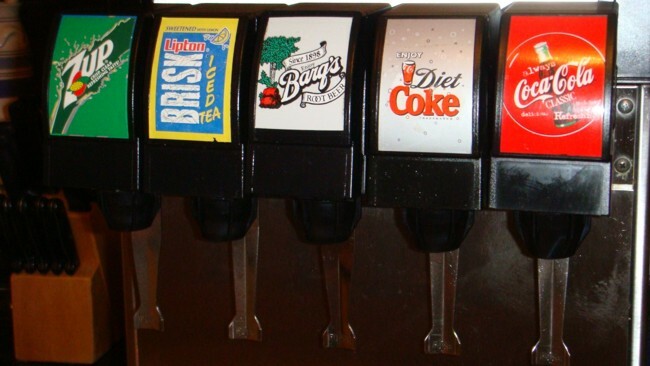 This type of heat transfer cools a water bath that the soda water and syrup lines run through eliminating the need for a cold plate or ice. 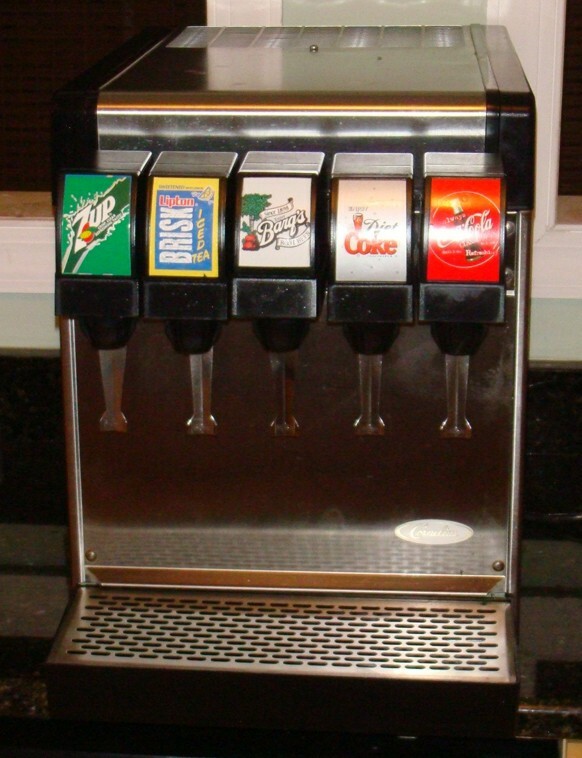 Set up to dispense Five (5) flavors from lever valves. The valves have been upgraded with newer models and all the o-rings have been replaced ensuring years of problem free service. 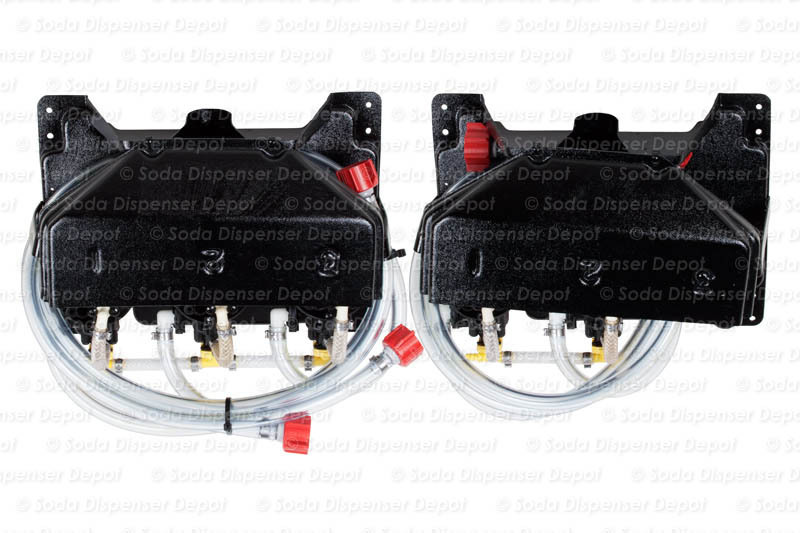 One valve can have a secondary lever for plain water or soda water (you must specify this feature when you place your order). Fully remanufactured and ready for service. System cools quickly & properly. Easily installs in numerous locations. Measures: 15" W x 26" D x 18.5" H.
Very simple hook-up. The lines have been pre-assembled & labeled. ALL of the fittings have been professionally clamped for easy re-installation. 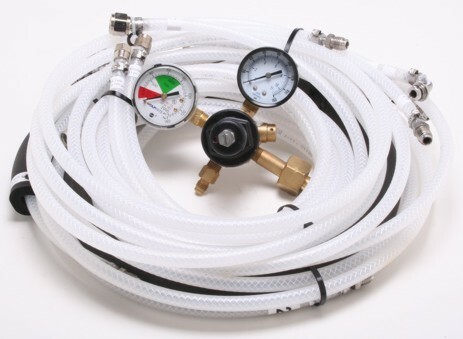 Also included: Five (5) syrup pumps with pump panel, carbonator, tubing, BIB connectors, & a complete set of CO2 regulators. 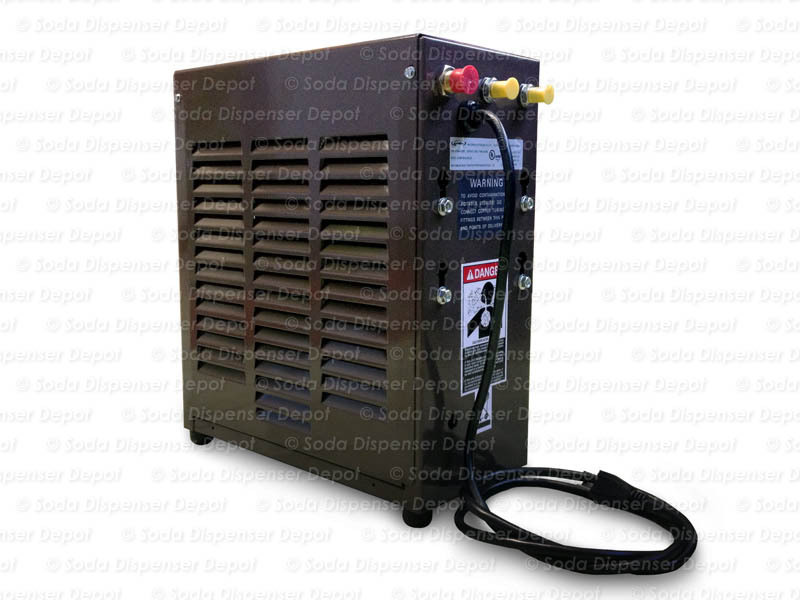 What you need to supply: CO2 Tank and Gas, Syrup (We will help you locate these items), Water Hook-Up, Electricity (120 volts).